MakeMusicNewYork is a live, free musical celebration, the longest day of the year, with over 1,ooo concerts on streets, sidewalks, and parks across the five boroughs. This year at the Firehouse, it merges with Hans Tammen’s “Dark Circuits” Festival – with a 20-piece orchestra of Korg littleBits synth players to Phillip White & Mario deVega, to Shoko Nagai & Miguel Frasconi. 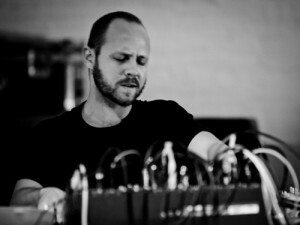 Hans Tammen’s “Dark Circuits” Festival features performers who work in contemporary electronic music practices such as circuit bending, no-input mixers, laptops, turntablism, analogue circuitry, network sniffers, live coding and soldering, plus other instruments we may have never heard of. Using flashcards and hand signs, Hans Tammen creates large multi-movement pieces with large ensembles of electronic instruments for over a decade. 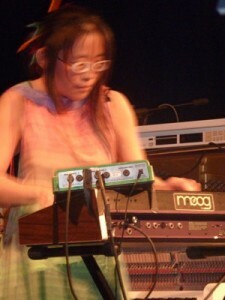 As part of this year’s MakeMusicNY he will work with an ensemble of Korg littleBits synthesizer players. 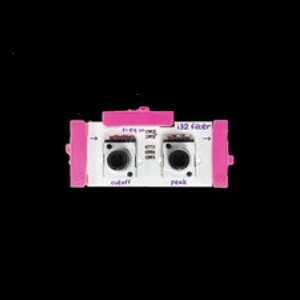 The littleBits are tiny synthesizer modules connected via magnets for quick changes in the signal chain, fitting into the littleBits modular system for infinite combinations of audio experience. We are looking for about 20 players to take part in the workshop and performance – you do not need to bring a kit because littleBits provides us with 20 kits to create a massive piece of synthesizer music! Workshop is at 4pm to get familiar with the synth and learn the piece, performance is at 6pm. You HAVE to do the workshop to take part in the performance. And bring friends: workshop and performance are open to the public. Harvestworks International Art Collective (HIAC) is an experimental multimedia group which works with music, art and technology. Founded in 2013 at Harvestworks Digital Media Arts Center, this New York based group is comprised of artists, musicians, designers and technologists of different backgrounds and nationalities. The group works with various traditional and experimental methods to create artistic experiences with a technological approach. Sensors, cameras, game devices, light, video, analog and digital music instruments are used for their performances and installations. The group’s philosophy is engagement with a direct audience/artist relation, as well as the use of technology. We use these powerful tools to enrich the human artistic experience. HIAC finds ways to establish this communication through technology creating works that aim to unveil new possibilities through artistic experience. The music of Phillip White and Mario deVega is known for its ecstatic intensity and expressive sonic palette. Working with unstable media involving a wide range of electronic devices and acoustic resonators, and drawn to the chaotic, autonomous behavior of feedback based instruments, White & deVega explore the value of instability and the potential of its failure. Shoko Nagai & Miguel Frasconi are using a wide array of analog electronics & synthesizers to create noise, analog, fat, chaotic, disturbed, sublime, angular, jagged, atonal, eclectic, marvelous sound from a uniquely imagined tradition.